Alan Hand (41) with his leaving cert results. Alan Hand (41) sat his leaving cert two years ago. This was an eureka moment for Hand, who’d left school at 16 to work and earn money, and had become unemployed for a total of two years. Alan joined a class of 14 other adults to study his leaving cert with the vocational training opportunities scheme (VTOS). 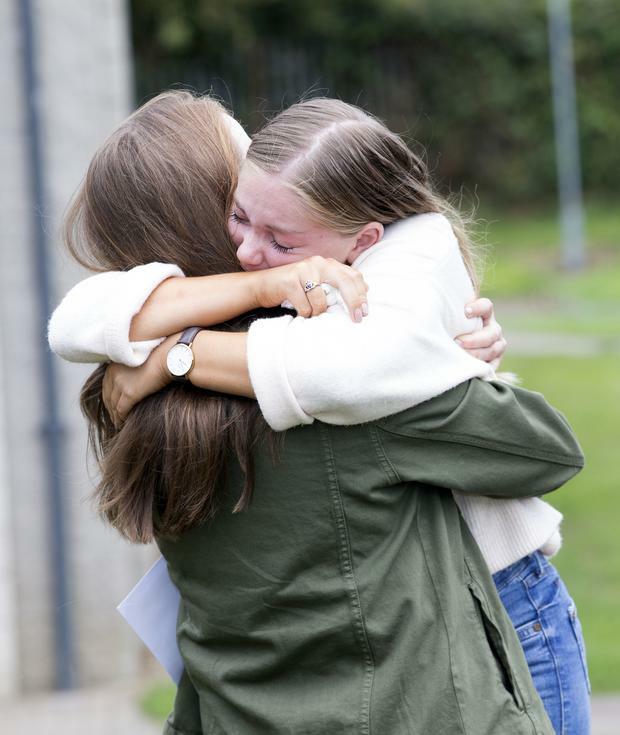 Students celebrate receiving their Leaving Cert Results at O’Connell Secondary School, North Richmond Street, Dublin. Kathlyn O’Neill, 18 from Tara Hill and Shereen Kavanagh, 18, River Chapel, with their Leaving Cert results at Gorey Community College. Alan sat six subjects, three higher level and three ordinary level: art history, history, biology, Irish, English and maths. Alan was hired as a temporary clerical officer in the Department of Social Welfare. Now he has a full-time permanent role with Dun Laoghaire Rathdown County Council. In time, Alan hopes to pursue evening study.